The use of health assessment is to systematically evaluate the health condition of a person after thorough physical examinations. The evaluation tool that is commonly used by doctors and nurses to assess every patient from head to toe physically and mentally; it Sample Assessment Templates is consist of various diagnostic and laboratory test to have a wide scope about a patient’s health status. 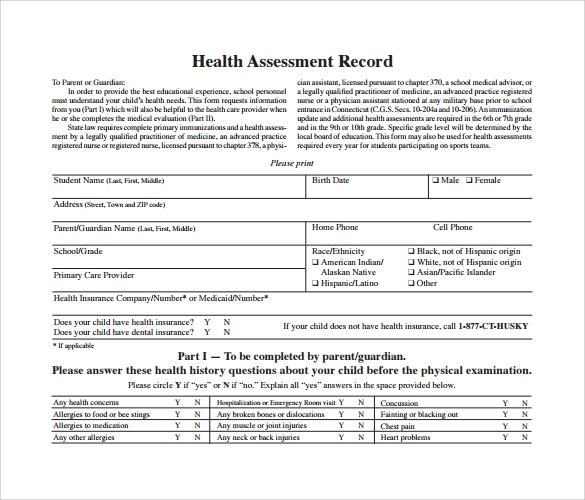 This sample of nutrition assessment template begins in the usual format consisting of the name, date of birth and age. It then progresses to list down the reason for nutritional counseling followed by a detailed review of the physical status, lifestyle activities and diet. 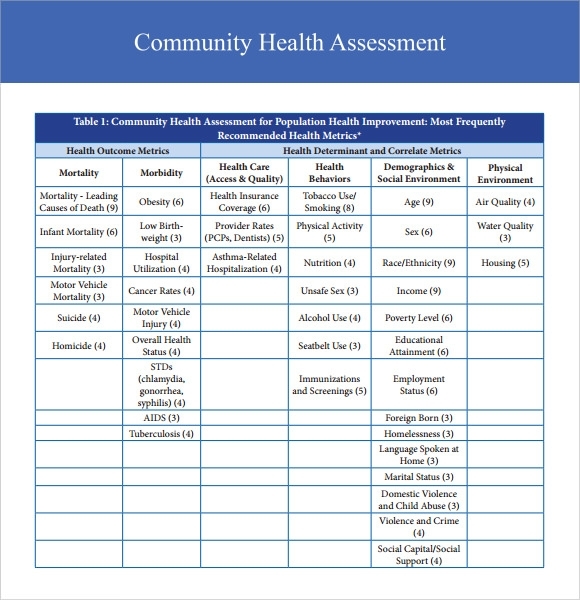 A list chart of various food groups and lifestyle habits are given which a person needs to tick in order to get an assessment of his current physical condition. 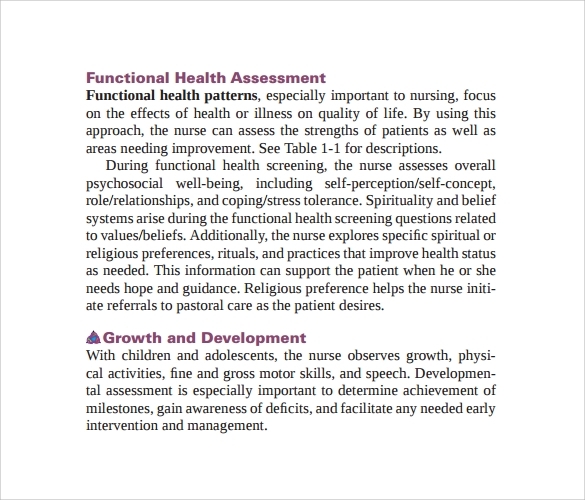 This sample of functional health assessment is a detailed guide on nursing guidelines. It speaks in details about each and every body part and the various illnesses which can potentially harm the body. 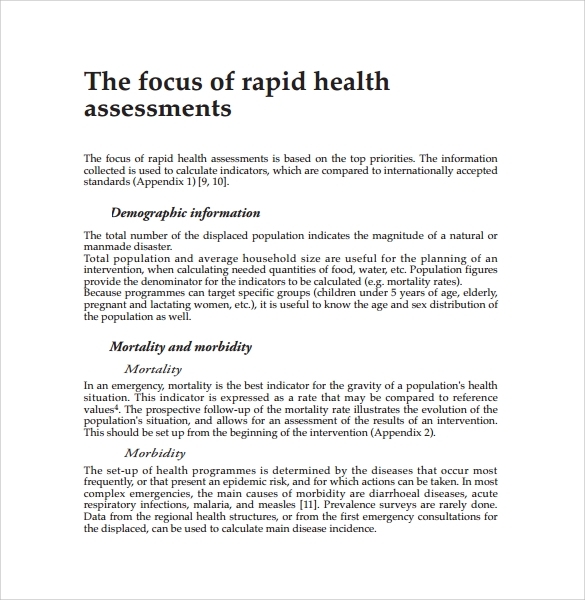 The sample begins with the basic assessment concept, general health assessment, regional observation and self assessment across lifespan. 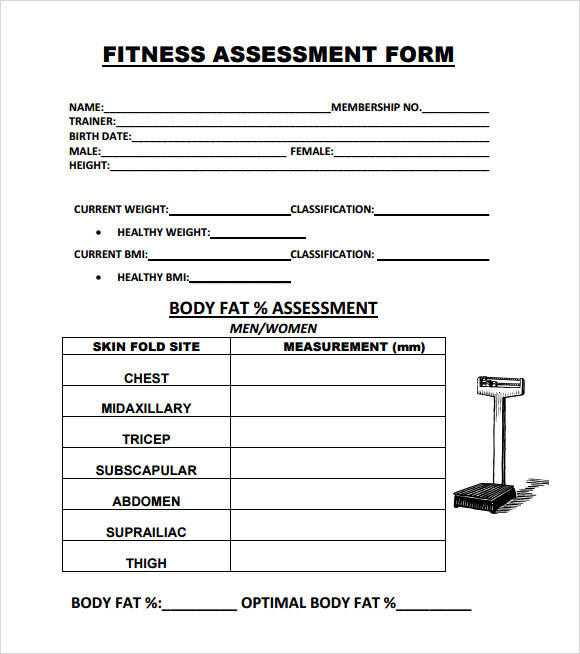 This sample of fitness assessment form consists of fitness assessment form is a simple and minimalistic form which consists of basic details in the beginning portion like the membership number, birth date, height , BMI and other factors. It is followed by a body fat assessment in different parts of the body followed by a list of different exercises which can help a person to fight the excess weight problems. Fitness assessment is regarded as a series of tests that helps a trainer to determine the level of a person’s fitness and helps him to develop a program which would help to identify the strengths and weakness in relation to a person’s physical fitness and lifestyle habits. 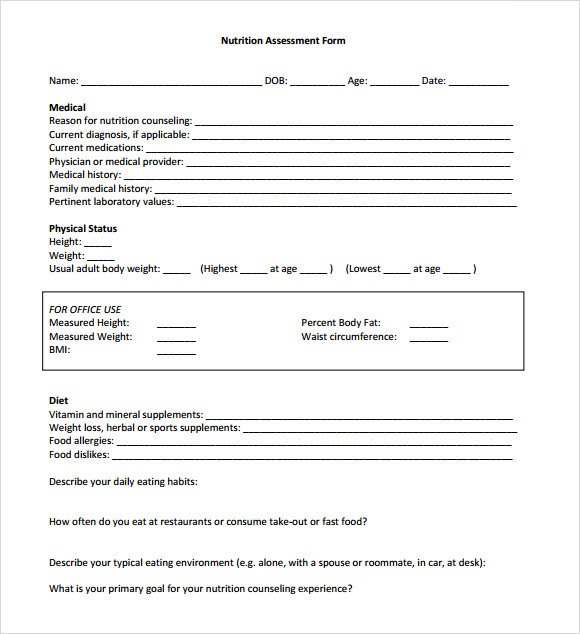 A fitness assessment program is particularly very helpful in setting a baseline for monitor the performance of a person and his progress throughout his exercise program.You can also see Technical Assessment Templates. What Are The Benefits Of Fitness Assessment? Keeps a track of a person’s progress in achieving his lifestyle goals. What Are Different Types Of Fitness Assessment Tests? There are many methods of conducting a fitness assessment test. The top five categories are as follows. 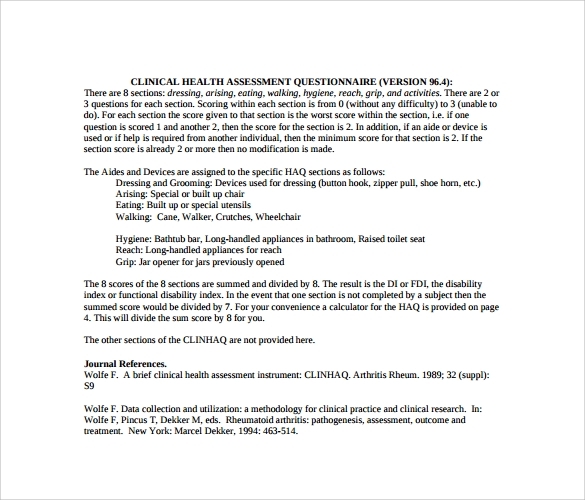 This test is designed as a clinical treadmill test. It is done to evaluate the situation of people suffering from cardiovascular disease. This test also involves running. The course is lined with cones and the track crisscrosses in between the cones. The results depend completely on a person’s ability to turn while running at a high speed. This test is designed to test the endurance and aerobic energy of a person. It involves running in between two cones placed at a set interval of time. This is another test which can be conducted at home and requires very little equipments. Its main purpose is to test the strength of leg muscles. 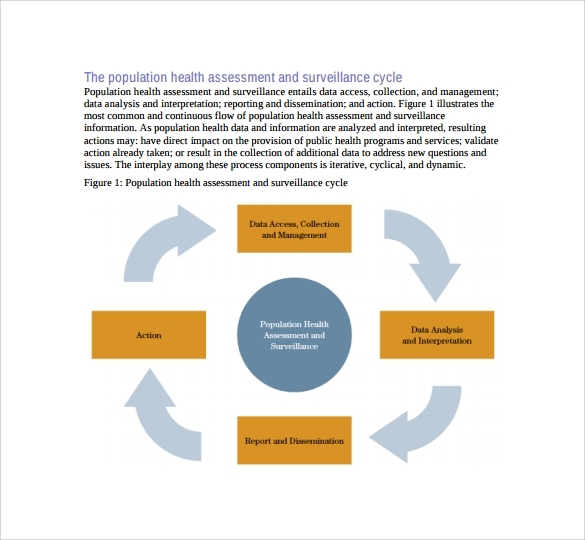 The example can be used as sample format you can have to be able to formulate the desired care plan and to address the needs of the patients. 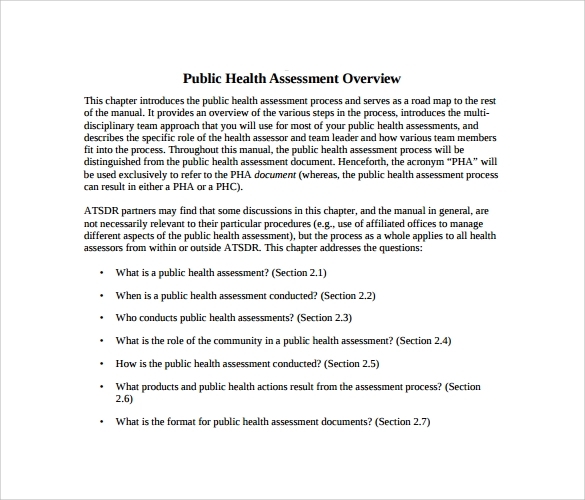 Health assessment requires critical thinking and knowledge in medical science to use it effectively to notice the clinical problem of a patient.You can also see Project Assessment Templates.